What Kinds of Wetlands are in NC? Who Lives in our Wetlands? Do I Have a Wetland? I Have a Wetland, Now What? 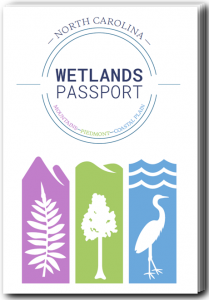 This passport lists and maps over 220 publicly accessible wetlands across North Carolina. Sites are listed alphabetically by ecoregion (Mountain, Piedmont, and Coastal Plain) with address information provided. Wetland sites are numbered in the order listed and shown on a centerfold map. Print yours today! 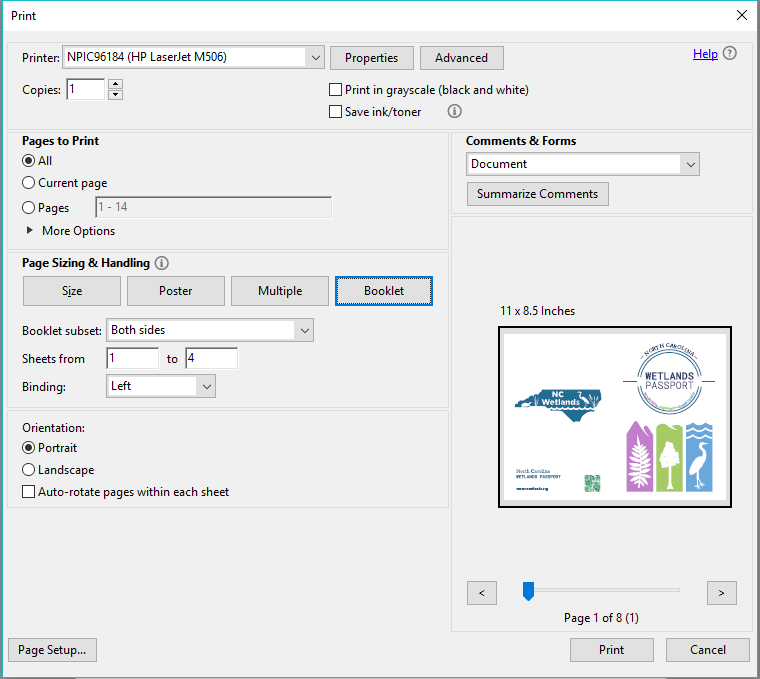 Download and open file in Adobe Reader. In the preview box, you should see 11×8.5 inches with an image of the back cover on the left and front cover on the right. NC Division of Water Resources. 2018. North Carolina Wetlands Information. http://www.ncwetlands.org. Published by the North Carolina Division of Water Resources. Water Sciences Section. See our “About” page for individual contact information.